The invoice will be donated to Open Culture Foundation, and you will receive a special price discount as a reward. If you need a triplicate form invoice, please buy the Normal Ticket. The sales will begin on April 18 06:03 p.m.
開始售票 2016 年 4 月18 日下午 6:03. 結束售票2016 年 5 月 13 日下午 6:05. There would be no refund once registration is confirmed. 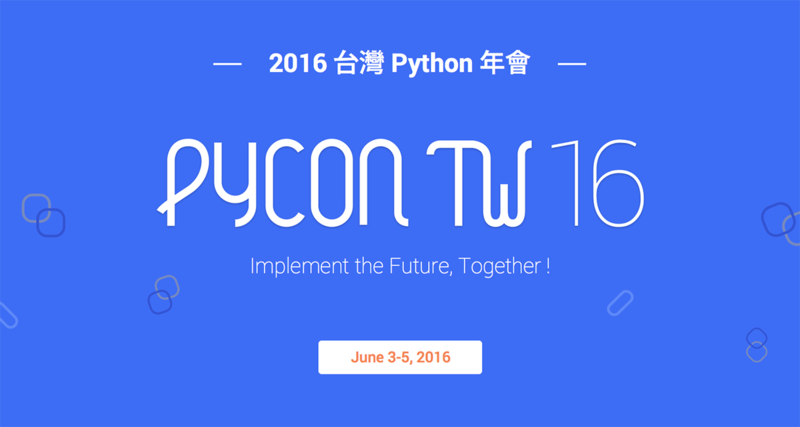 If you wish to support PyCon Taiwan 2016 on your own, you are welcome to be a patron!